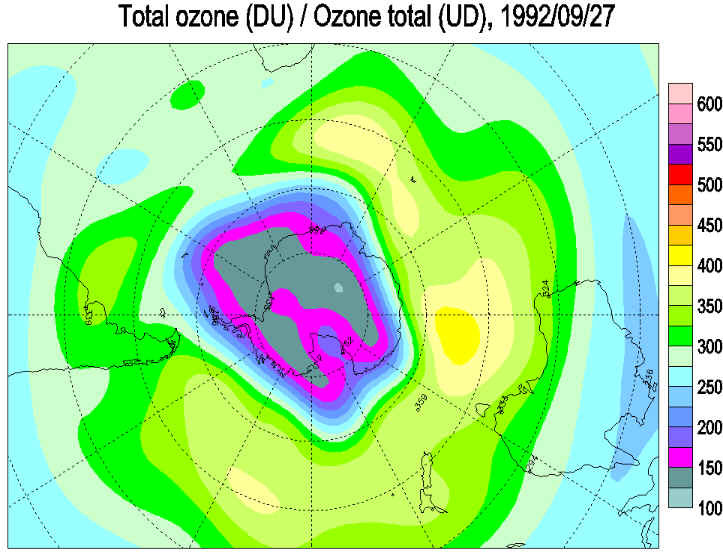 Unusual stratospheric ozone levels were observed in the Antarctic stratosphere in 1992. 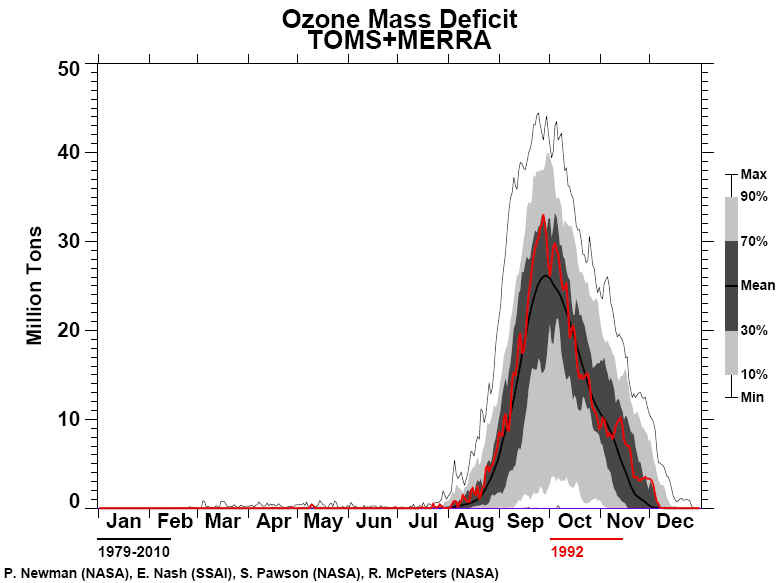 The rate of ozone decrease during formation of the springtime ozone hole and the severity of ozone loss in the lower stratosphere were greater in 1992 as compared to previous years. 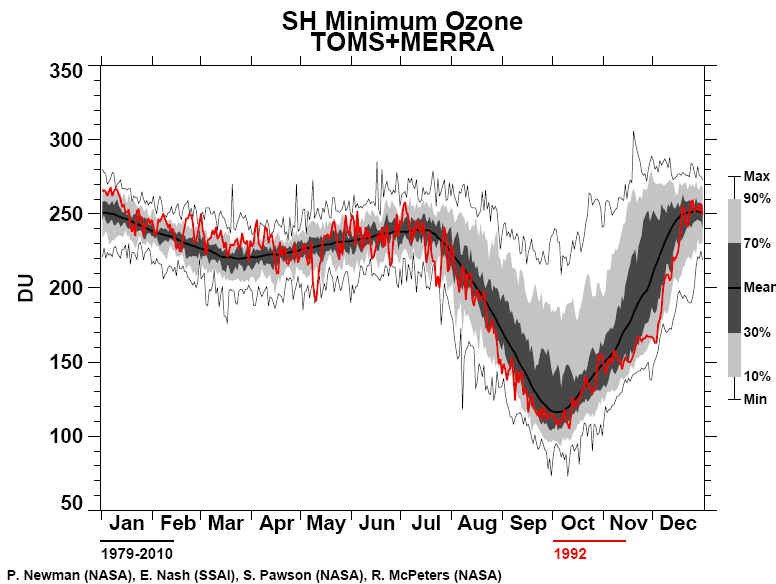 Total ozone reached an all time low of about 105 Dobson units on October 11 at South Pole Station. On this day, the balloon-borne instrument encountered an apparent ozone void between altitudes of 14 and 18 km. Ozone profiles showed evidence of unusual ozone depletion in autumn, before polar stratospheric cloud existence temperatures were reached. Satellite measurements indicated that the 1992 ozone hole was about 25% larger in geographical extent than in previous years. The possible effects of the eruption of the Pinatubo volcano in the Philippine Islands in 1991 are investigated, and it is concluded that the sulfuric acid droplets, which formed in the stratosphere following the eruption and were trapped in the south polar vortex, are the most likely source of the anomalous Antarctic ozone depletion in 1992. 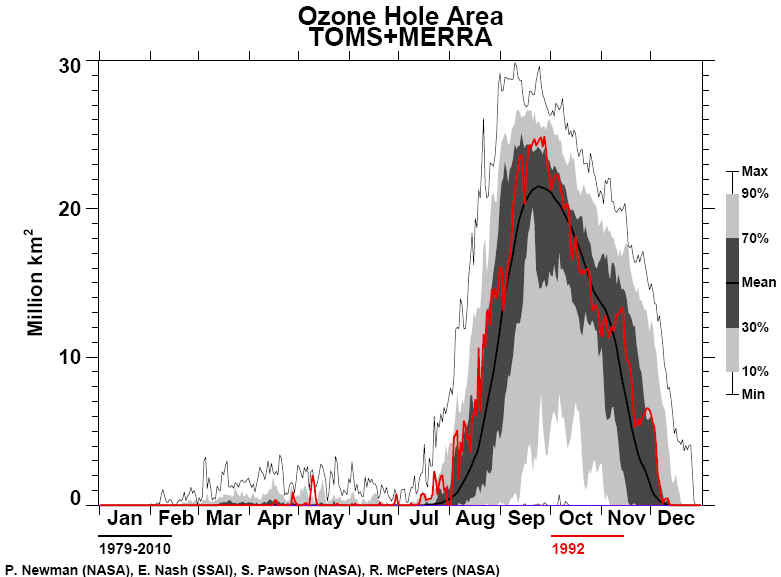 April 2004-Japan's Meteorological Agency announced last week that the ozone hole over Antarctica has increased 13-fold over the past 10 years, and now covers a total area of 17 million square kilometres. The agency's findings are based on data from American NASA satellites and Antarctic research stations run by several countries.